Get ready for more and more unusual, exciting, different and terrific adventures on land, in air and on sea! Tales of action, mystery and thrills with death and danger on every page. Marvel proudly presents more Golden Age goodness, collecting issues #5-8 of SUB-MARINER COMICS from 1942. 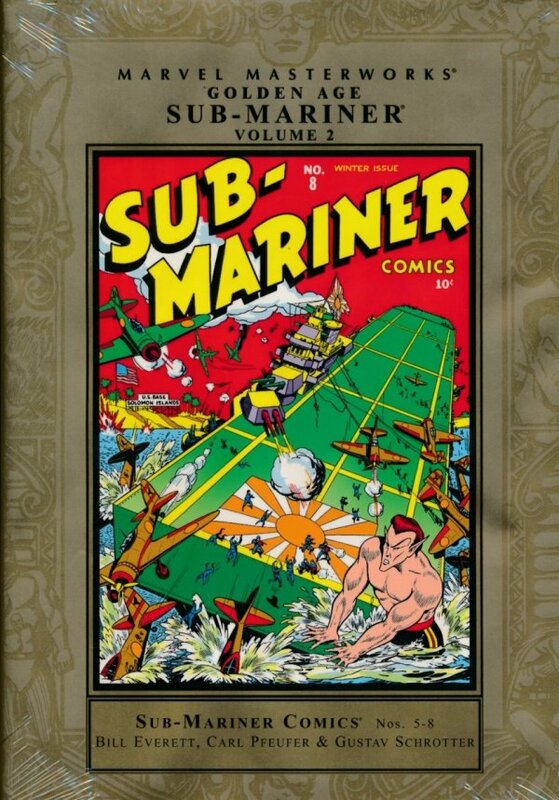 Sub-Mariner faces off against "Piracy at the Ocean's Bottom." "Smashes an Uprising at Manilla,"and "Fights the Periscope Peril" in more wartime action while the Angel tackles a "Genius for Murder" and "The Firing Squad!" Plus, "Pop's Whoppers" and "Tubby and Tack." This hardcover collection remasters and restores these early adventures, some reprinted for the very first time!